Hi lovelies! Despite the crazy weather with the super hazey weather that coming all the way from Indonesia. Many people were sick with, cough flu and eczema getting worst. Make sure get yourself hydrated always, rest more and drink more water. Beside getting yourself hydrated, don't forget about your skin too! Few days before when I read through facebook, I saw that if you do your laundry expose to sun with haze, it will cause itchiness to your body when you wear the cloth. Everyone make sure do your laundry indoor when the haze is really serious. That is why hydrating your skin is really important for this Hazey Season to prevent dryness and itchiness to your skin. 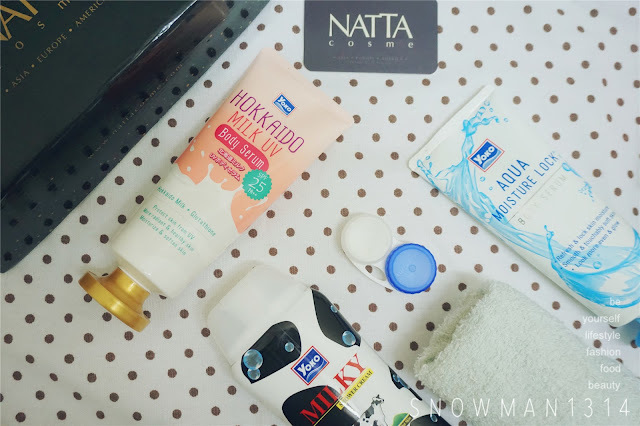 Once again I am always a fan for Natta Cosme. Their product always the best and I have been collaborated with them for few times too. 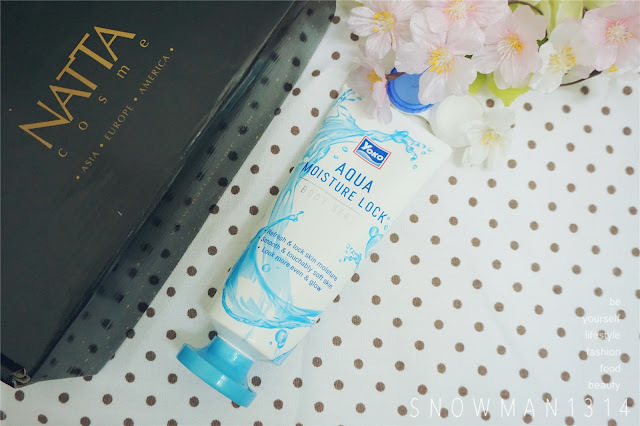 Thanks again for Natta Cosme for introduce such good product for me and my readers! 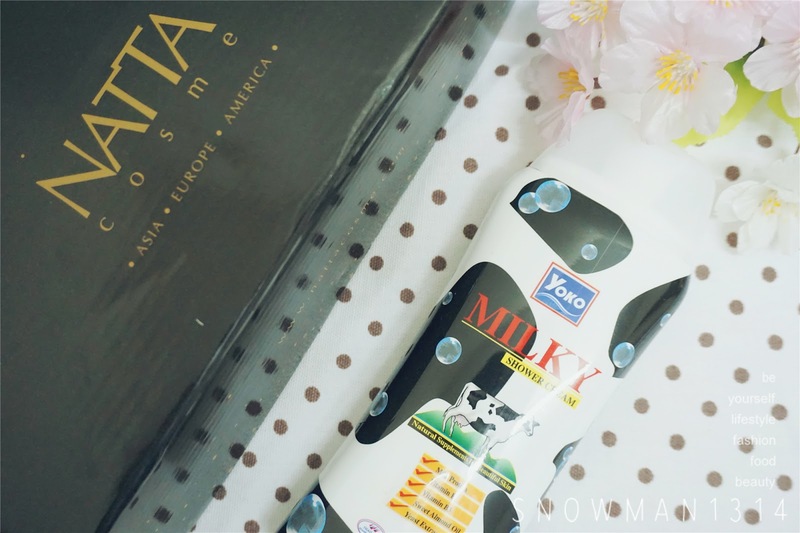 You can get Yoko Milky Product from Natta Cosme. I don't know about you girls, any fan of Milk? For me milk can be really good for skin as it promotes whitening and moisturize our skin to the fullest. Let's start with their shower cream, shall we? 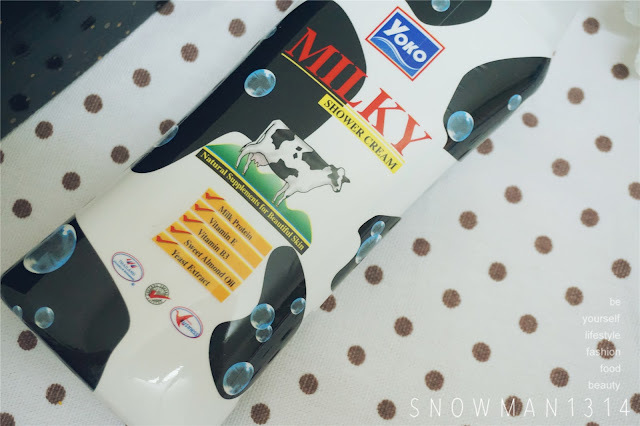 After you wake up, get yourself into a fresh and milky shower with YOKO Milky Shower Cream. YOKO Milky Shower Cream contains natural supplements for Beautiful Skin. Maintain skin youthfulness and softness as well as forms a layer to protect the skin hydrate. Protect the skin from UV ray while moisturizes and reduce skin toughness. 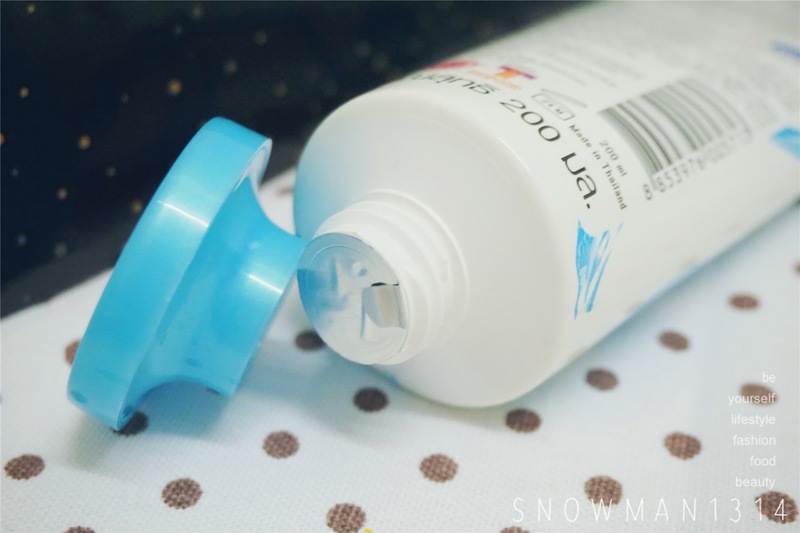 Keep skin soft and smooth while relieving irritation. Let's talk about the fragrance, It was really smell milky and smell great. I am the type of girl who loves to smell good every time. This was really perfect for me, The milky smell and smoothness is what I really love from this shower cream. I love the packaging design with Black and White Dairy Cattle. Really looks so much a like as if I bring a dairy cattle to bath with me. Opening was really easy with just pop up cap. It turns bubble foam easily when you have just wet it with water. Next up after shower using Milky Shower Cream, apply YOKO Hokkaido Milk UV Body Serum SPF 25 PA++ before you start your day or go out to protect your skin. This is my first time experience with UV Body Serum that contains Hokkaido Milk and Glutathoine (antioxidant). It can protect skin from harmful UV when you are outdoor. 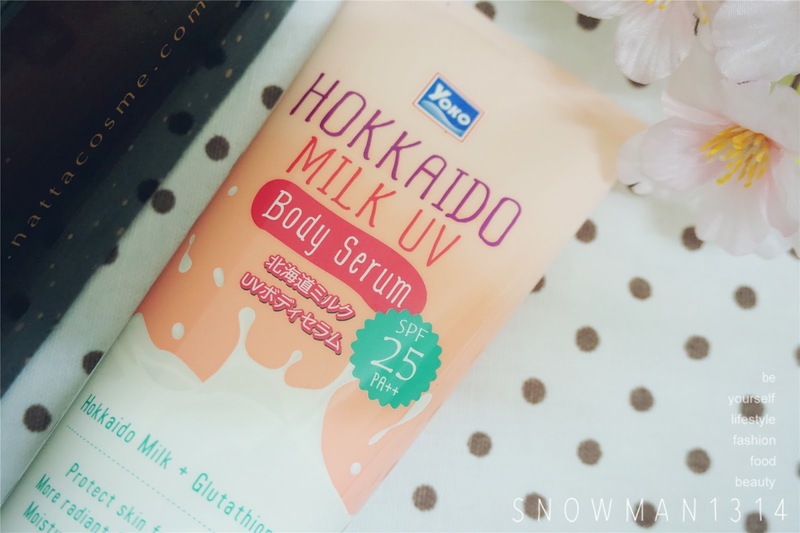 YOKO Hokkaido Milk UV Body Serum SPF 25 PA++ give more radiant and healthy skin not forget it can moisturize and softens skin due to Hazy weather or in Aircond Room. I really like this series of Bath product. Its smell really nice and I feel refresh after the bath and applying all the product from YOKO. 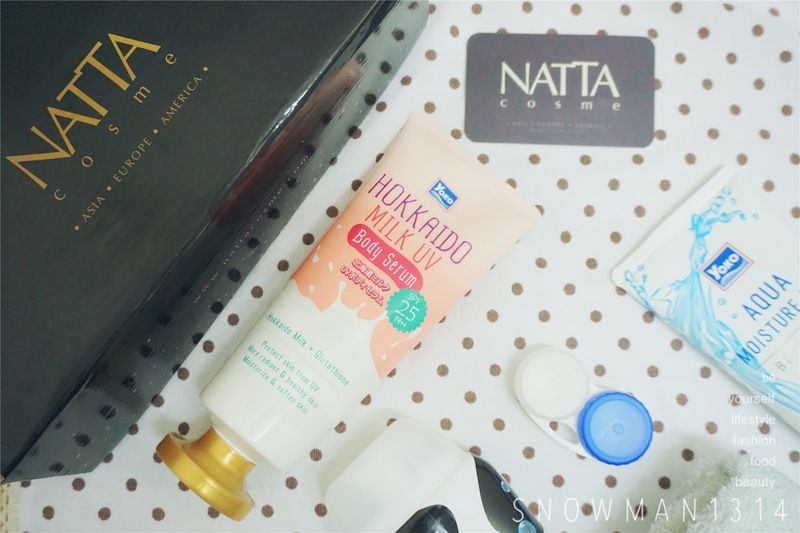 Make sure to apply YOKO Hokkaido Milk UV Body Serum SPF 25 PA++ before go out with the Hazy and Sunny weather. It was really a big tube bottle and I believe for me I use it for 2-3 months. I like the secure cap of this product. At first I thought it was like a cap opener, but turns out is not, you have turn the opener out. 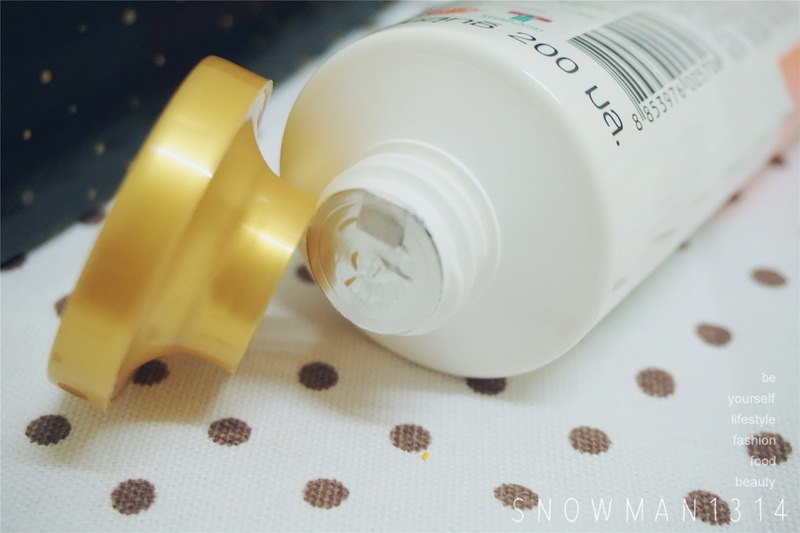 Since the texture was really smooth and mild, it can simply flow out once you open it. Secure lid before you used. Texture was slightly mild since its act as for UV protection. But the texture was really smooth like milk texture. 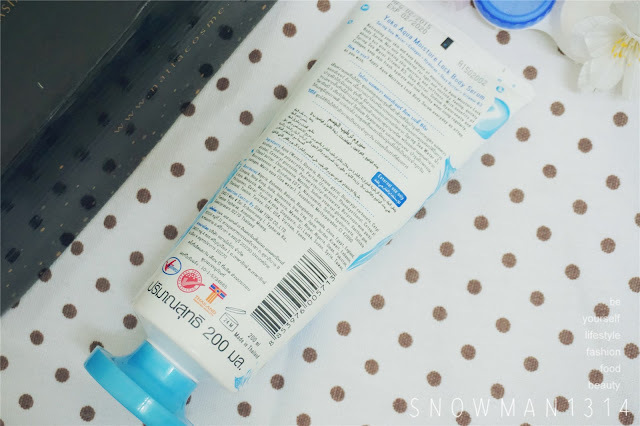 This product doesn't leave any greasiness and stickiness on my skin too!! 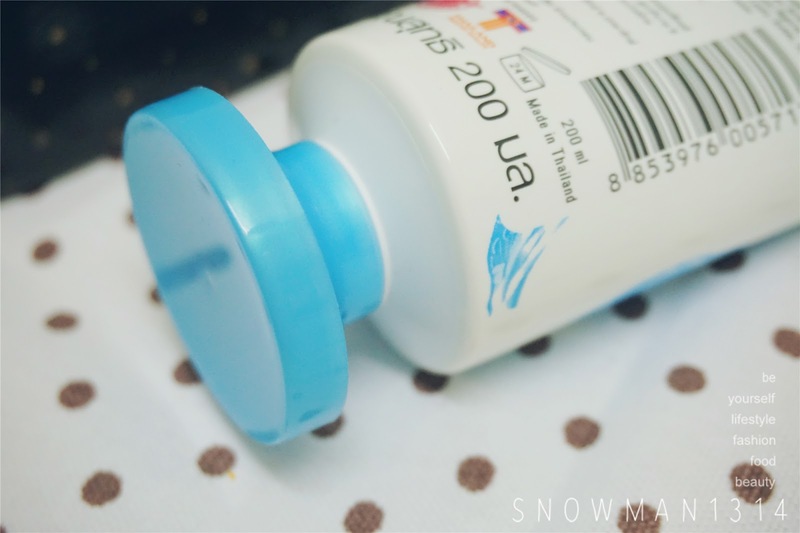 Instead it absorb quickily to my skin and leave my skin moisturize and hydrated. Night routine, after having a tired day out at work its time for some refreshing bath again. Time to get rid of the excessive sebum from the Hazey weather. 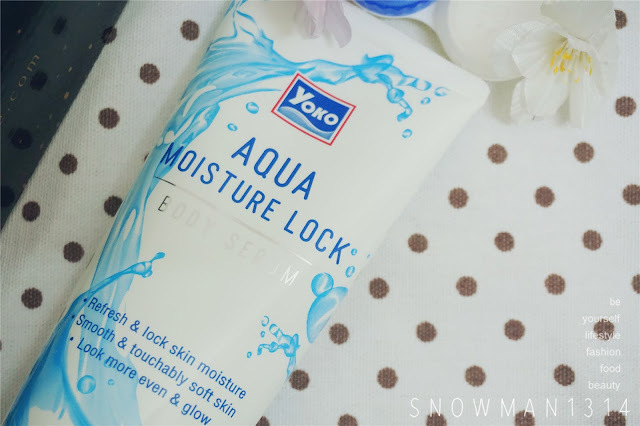 This time after your bath using YOKO Milky Body Bath, spend some time to apply YOKO Aqua Moisture Lock Body Serum to lock your skin moisture before your sleep. Slight different fromt the previous 2 product, this was more to Water and Mositure Lock sensation. 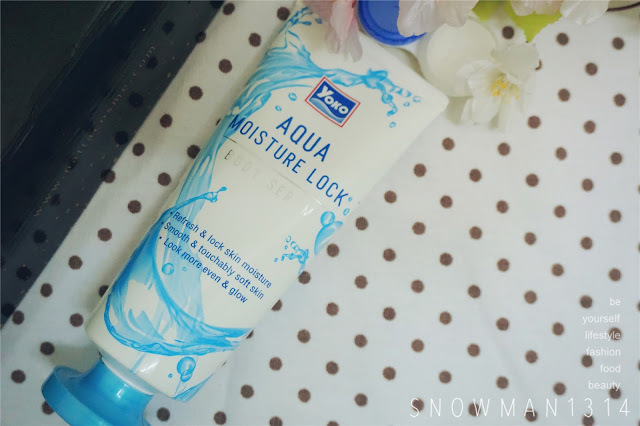 This moisture lock body serum helps refresh and lock skin moisture. Provides smooth and touchably soft skin and make your skin look more even and glow. Contains benefits of Spring Sea Water, Vitamin B3, Shea Butter, Sodium Hyaluronate and Collagen. All these benefits ingredientskeep skin feel fresh, hydrate and look healthy. 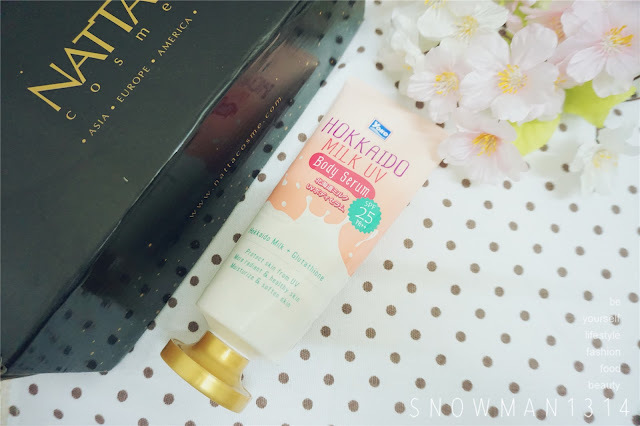 Tube size was same as the YOKO Hokkaido Milk Body Serum. Opening cover same as the YOKO Hokkaido Milk Body Serum. The color texture comes in light blue like the aqua water color. Smells watery and give cooling sensation to your skin after you apply YOKO Aqua Moisture Lock. 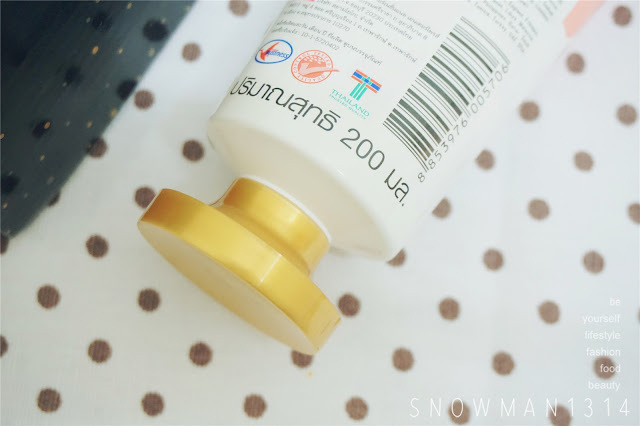 I loves the cooling sensation on my skin without feeling any stickiness, not only it quickly absorbs to my skin but also locking skin moisturise and softness. 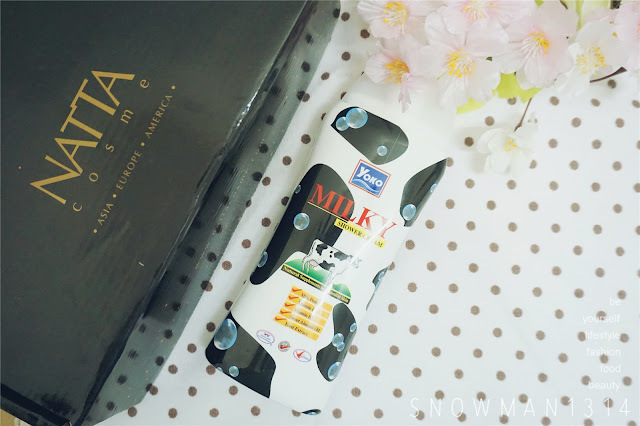 Wanted to have all these 3 product for a Happy Milky Bath Moment? 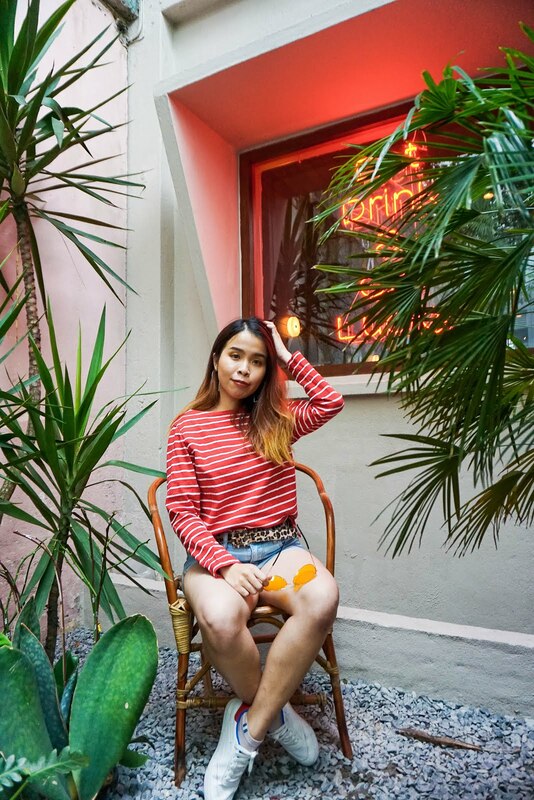 You can also do your own body scrub with others YOKO scrub product and using their Body Bath and Body Serum to achieve effective Milky, Soft, Smooth, Hydrated Skin without heading for spa center. Save money and save time let's just DIY at home. You can purchase all from Natta Cosme. 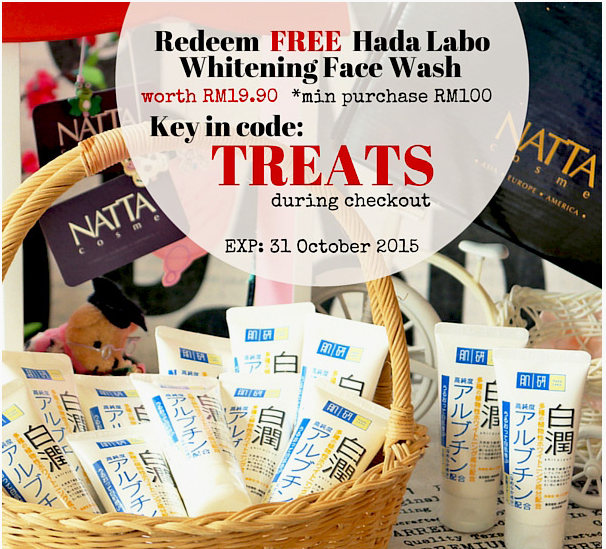 Till 31st of October you can redeem FREE Hada Labo Whitenning Face Wash worth RM 19.90 with minimum purchase of RM 100. Just key in TREATS while check out. Disclaimer: Although it was a sponsor product but the reviews are all base on my true experience. Yes! The haze has taken a toll on me. >< battling with my sensitive skin daily sigh. Does it work on sensitive skin too? I think better not good for sensitive since it contains fragrance, scare might cause itchiness to your skin ya. so pampering having this bath set. your intro is really clear by showing photo. will check it out later!! i never heard about UV body serum before. I feel like this is what i need the most, as UV nowadays~ not only need to take care of face, but the body as well. I agree with you dear! The bath and body products look luxurious and pampering. I always forget to use what I have bought! so nice product, easy to use. Should check their website soon, never to late to care skin. It was really a nice product >.< I agree! It is Betty! You are welcome dear. Wow, it's really look milky. and the packaging as well. 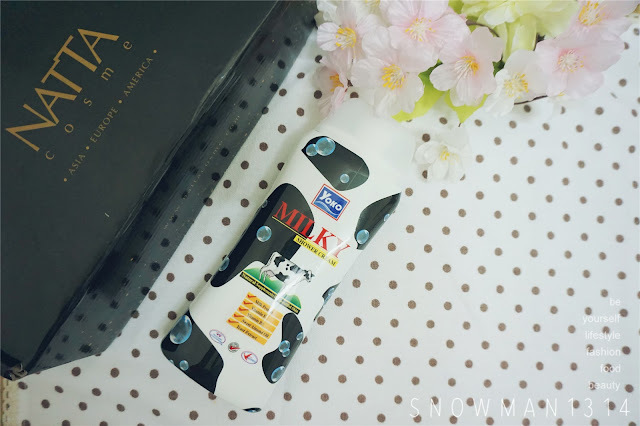 I never heard about this brand before but the name of milky already know its good for skin. I shall give this a try then. Hehe okay dear! Happy you got things that you like! 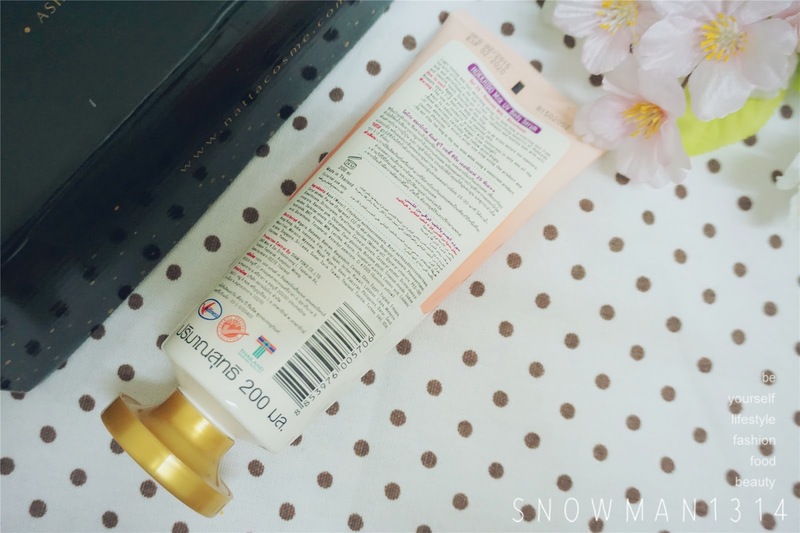 I really need this shower cream as got moisturise and whitening my skin somemore. Really need to get 1 soon. Haha You will definitely like the smell of this product! hehe Thanks Jessie! Products are looking quite promising and this haze is causing so much of skin issues and skin really feeling very dry. Yea I agree, have to pamper our skin more. It is! I love their product too! I just came from a milkcow post, and now here i am at a milk shower product :D.. it's all about milky goodness nowadays. Here's to perfect skin ! Yeah Milk have alot of benefits! Yes Ivy you should try it! it's really pampering right, i love to use this after a hard day at work and feel so nice and clean after. It was really relaxing and refreshing! We could never have enough of body products!! The fastest products that I finished in my stash.